Diamond Select Toys Turns San Diego Eatery into the DST Lounge! July 2014 - Comic-Con International is an experience, to be sure, but sometimes you just need to get out of the convention center! 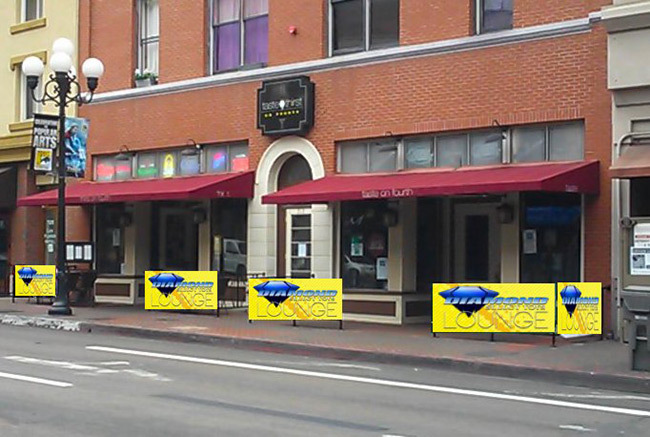 San Diego's nearby Gaslamp District offers a variety of options for fun, food and drink, and Diamond Select Toys has always had their favorite for all three: Taste and Thirst on 4th. So this year, DST is taking it over and turning it into the DST Lounge from July 24-26! The home of some great food, a wide selection of drinks and the best chicken wings in town, all in a casual atmosphere, Taste & Thirst will be decorated with DST products and artwork during Comic-Con, turning it into a celebration of the stories and characters that Comic-Con attendees love, including Star Trek, Star Wars, Sin City, Godzilla, Ghostbusters, TMNT and Marvel Comics! Coupons for food and drink discounts will be given out at the Diamond Select booth (#2607) on the convention floor, so you can take the short walk up 4th for lunch or dinner, or stop by after the convention for drinks in the bar! 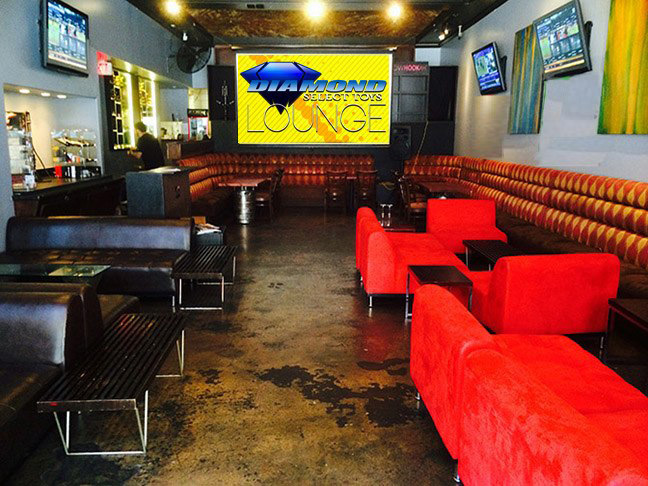 The lounge will celebrate its grand opening with a kickoff party starting at 10PM on Thursday night, July 24, open to anyone ages 21 and older. The DST staff will be in attendance, so look for the DST staff shirts if you're hoping to rub elbows with the guys who get their products from the drawing board to store shelves. Plus, illusionist Nick Ivory will perform until 10:45, so be sure to catch some of his amazing slight-of-hand! After that, the Lounge will be open from 11AM-2AM on Friday and 9AM-2AM on Saturday. Taste and Thirst on Fourth is located at 715 4th Ave. in San Diego.